Strange sliced layer, hided, missing, shifted? 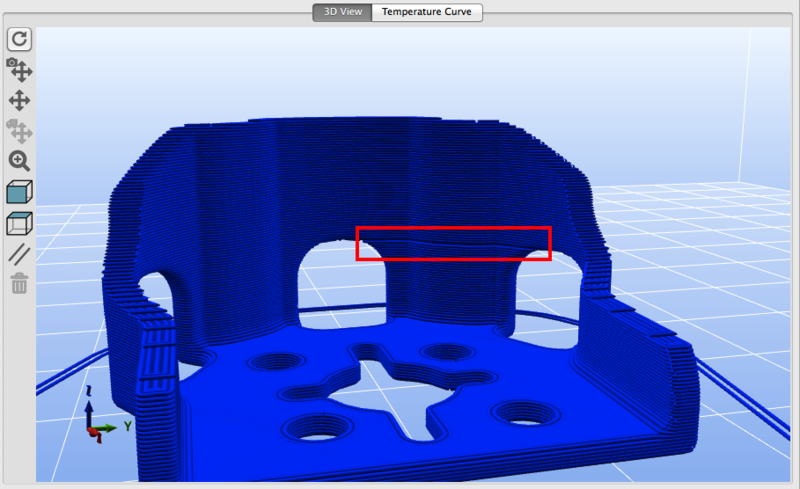 I'm trying to print a .stl but when i try to slice with Slic3r from Repetier-Host always make a strange layer in the same place, in the preview and in the finish printed piece. When i sliced with Slic3r and Cura preview it's perfect but Repetier-Host shows this defect that print in the finish object. 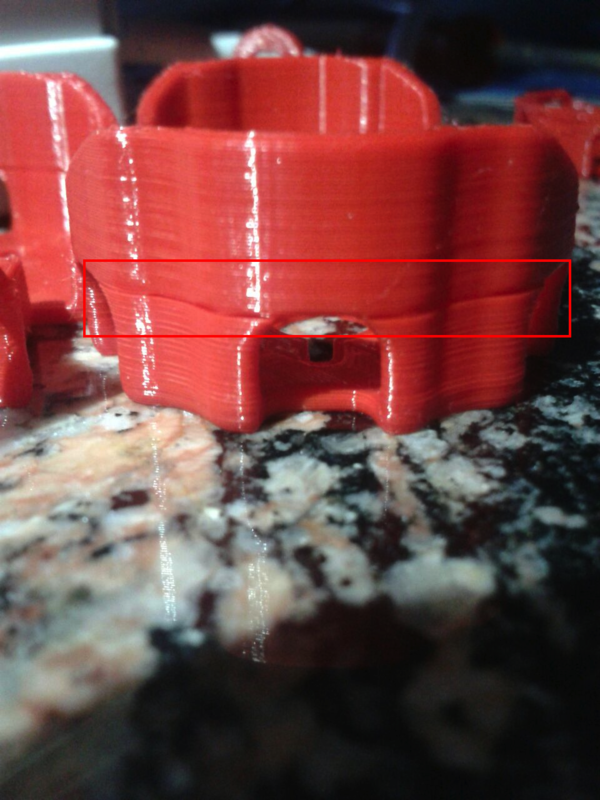 Repair .stl or changing layer height, etc. not works. It's a piece from Thingiverse and i see perfect prints from other users. P.D. : Please a new Mac Version!!! Result depends on SLic3r and model and is independent of mac version! Is this a manifold model? Non manifold models can lead to strange results when sliced, so they need to be repaired. Apart from that I can not say what goes wrong. SLic3r is just the bundled original current slic3r version whcih is not developed by us. Hi, first thanks for the fast answer. Yes, this is a manifold model, anyway i try to repair with online netfabb repair but nothing changes. 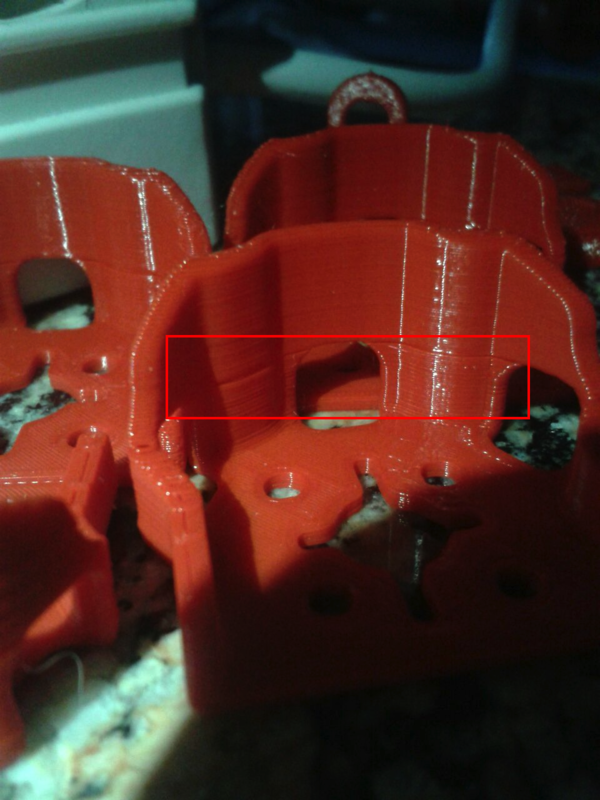 Anyway i think that is a Slic3r problem, with the offical Slic3r prints ok but with Slic3r Prusa Edition i have this problem. The last Slic3r version for OS X and prints ok, looks like i have the problem with the Slic3r Prusa Edition. Ok, the problem was with Slic3r 1.31.2. 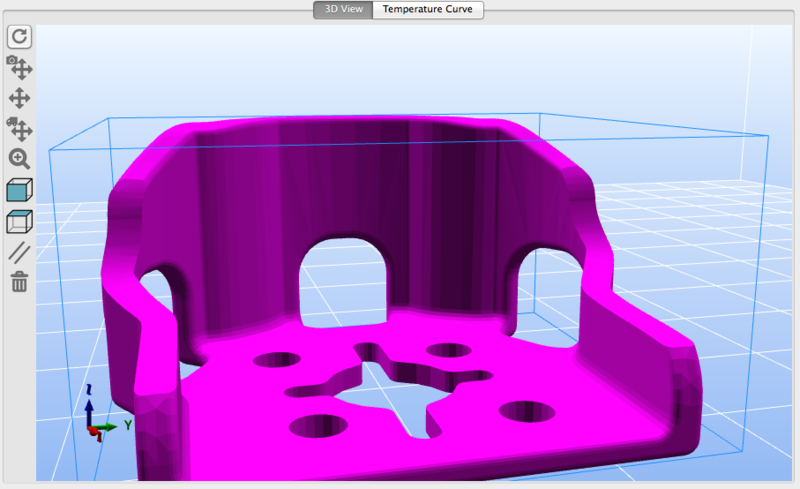 Finally searching a new version of Slic3r Prusa Edition i find Slic3r-1.31.6 and works fine.